The first installation of the castle dates back presumably to the XIV century, even if its existence is documented in 1453: restoration work and changes have altered its original appearance, saving, however its rectangular layout. 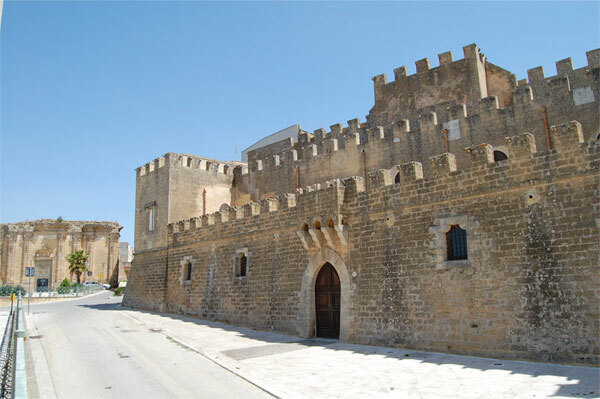 It has the solemn appearance of an ancient fortress with battlements and three large wings around a large courtyard. The late mannerist doorway is from 1658. In the castle the cella della monaca - nun’s cell is to be found. This is the presumed enclosed area for a nun from the Grifeo family.